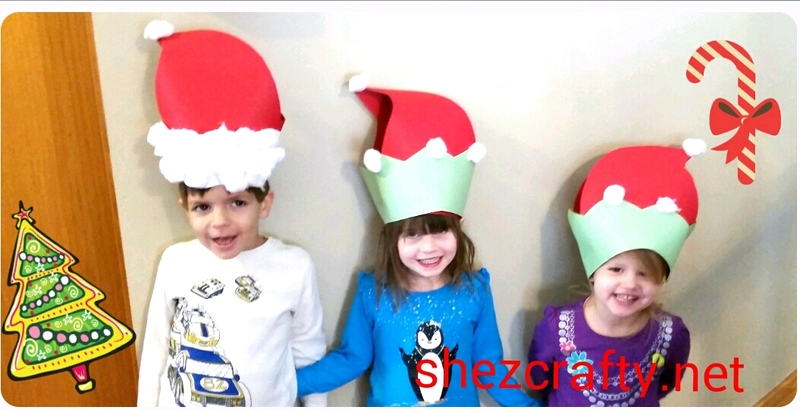 We will do a two for one here since the elf and santa hats are made the same way. 1. Fold a large sheet of construction paper in half. Cut out the shape you would like for your hat. Mine is a little off to the side but you can just do a triangle. 2. Take another sheet of the red paper cut into three strip the long way. Take one and staple it just to the front of the hat right in the middle. 3. Use the two end fit to your little ones head and staple each side as seen above. 4. 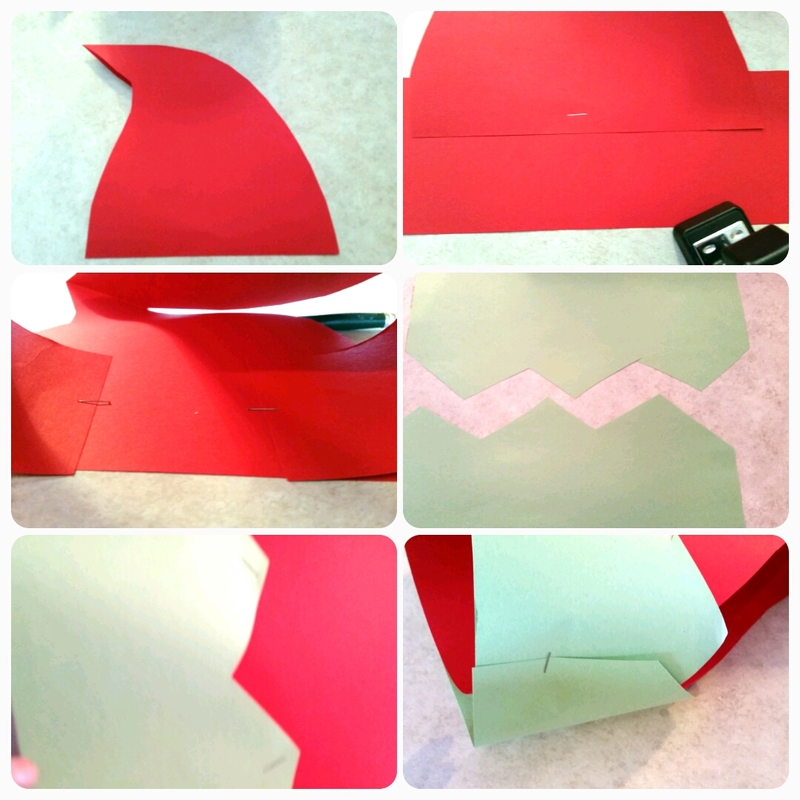 Take a small green sheet of construction paper and cut a in half with a zigzag line. 5. Staple the green paper on to the hat by the points so you can glue cotton balls over the top. 6. Staple the green sides together and to the red band at the same time. These hats look adorable! I know my kids would love making them.